Our NLP training course or our Hypnotherapy training will help you understand the importance of these filters. 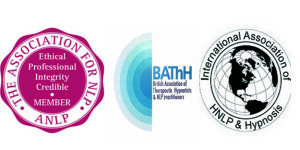 Knowledge of the filters is an essential part of NLP and Hypnotherapy training. Filters can be thought of as similar to Ray-Ban sunglasses which filter out certain rays of light to prevent damage to your eyes. The big difference with Ray-Bans is you can take them off. Remember: we are deleting, distorting and generalising all of the time. The filter of deletion is there to help you. Because we have so much information coming in at any one time, without deletion our brain would blow a metaphorical a fuse. Deletion can change our perception dramatically because most of us don’t realise our true potential. All of our beliefs will have some form of deletion. A good example would be that of smoking: if a smoker stops ignoring (Deleting) the medical facts concerning smoking, they would give up the habit. Being able to focus for long periods of time is a gift when you are learning a new subject, this happens because you have deleted some of the information coming in that can distract you. When we are focusing on a particular problem for a period of time our filter of deletion will kick in: whether it’s stopping smoking or feeling insecure, or maybe issues of no confidence. After a while you can begin to delete possibilities about how you would like to make positive changes in your life. There is nothing wrong or right about deletion, it all depends on what is being deleted. Remember possibilities are always there. Focus your attention on becoming aware of your left foot for 7 seconds. Now focus on your left hand for 7 seconds. Now focus on a particular sound with your right ear for a further 7 seconds. Now close your eyes and focus on feeling of your left foot and the sound with your right ear at the same time. George Miller’s book ‘The Magic Number Seven, Plus or Minus Two’ put forward the idea that we can only deal with seven, plus or minus two types of information at any given time. When we focus on any of our senses, because of that focus, we delete some of the attention away from our other senses.